I am a writer, photographer and art making mama living in a small town in western Oregon. A part of my work in this world is to notice the sacred moments in the mundane parts of life. I believe that noticing and recording those moments can help to fix some of what is broken. Susie Sweetland Garay is a writer and photographer who enjoys finding beauty and meaning in the everyday. Who loves exploring new places with her camera in hand and daughter by her side. 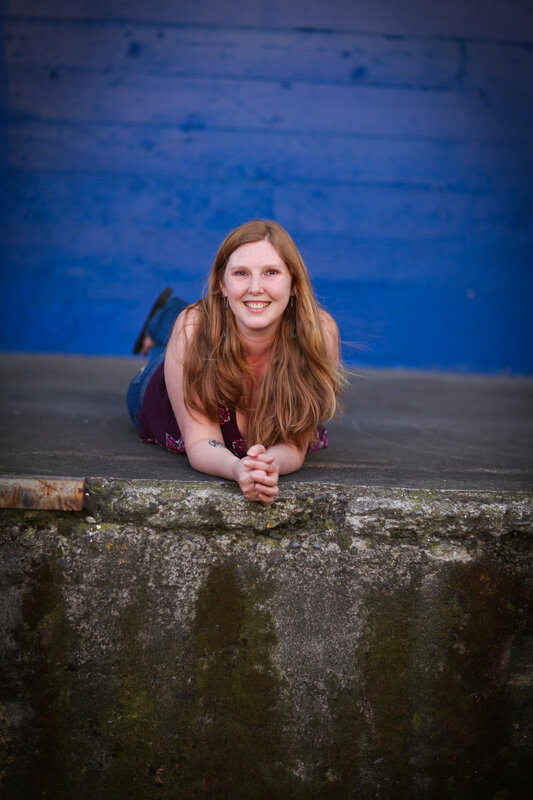 Born and raised in Portland Oregon, Susie has been a writer pretty much since she was old enough to write. She received a Bachelor’s degree in English Literature from Brigham Young University, spent some years in the Ohio Appalachians and currently lives in McMinnville Oregon with her husband, daughter and 2 cats where she works in the Vineyard industry. She has been published online and in print at a variety of publications. A full list of publications can be found under the Writing link above. Her first full length poetry collection, Approximate Tuesday, was published by Blue Hour Press in September of 2013. She was nominated for a Pushcart Prize in 2014 and her second poetry collection Strange Beauty was published through Aldrich Press in 2015. Her third book Ebb & Flow was published by Boho Books in 2018. Susie also adores photography and takes photos nearly every day in order to capture the beauty of our everyday lives. Photography is one of her favorite ways of capturing the small sacred moments that occur so often during the entirely ordinary mundane acts of living. She has had her images featured in a number of publications both online and in print. A full list of publications can be found under the Photography link above. Susie is also a founding editor of the Blue Hour Press which has published 9 full length single author poetry collections and 4 art and writing anthologies. Blue Hour Press books are available at bluehourpressbookstore.bigcartel.com. She spends her free time writing, growing plants, making art and spending time with her family. Susie enjoys painting, book binding and metal smithing and maintains an online shop where she sells her wares. Items available for sale can be found at: studiorainwater.etsy.com.